This is a quality I developed early on in life. …I found it in the pantry… It was lemon-y… My eyes were as wide as dinner plates! I partnered the frosting with a tablespoon and found myself watching TV for no more than 20 minutes of unadulterated over-the-top-don’t-stop-me-now pure sweetness. Well, I never did that again. 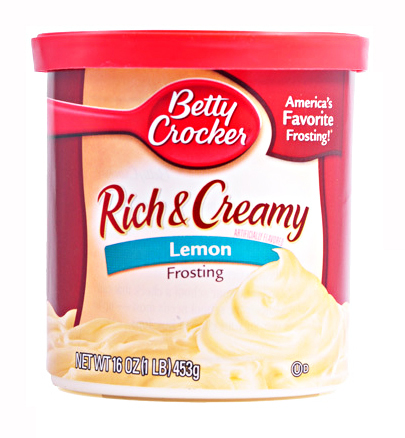 And I’ve never thought of lemon frosting quite the same way. 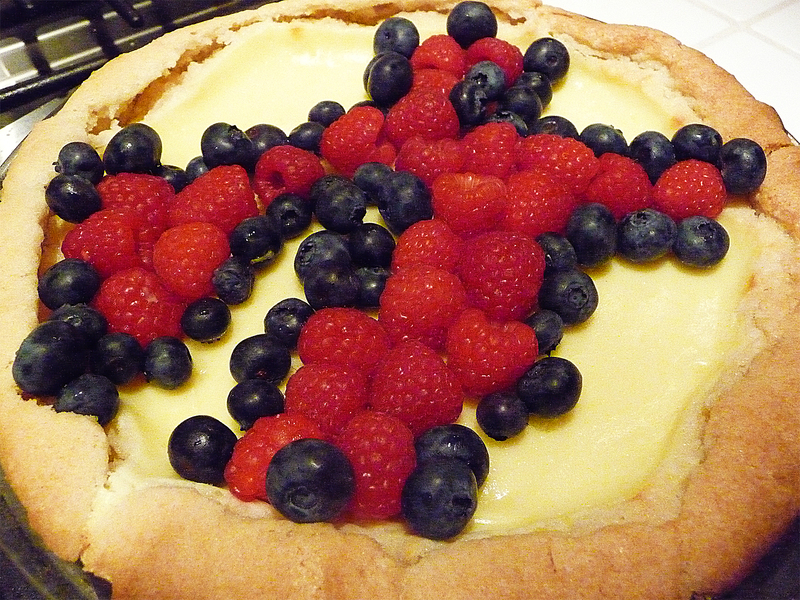 This sweet n’ easy cheese cake recipe makes clever use of sugar cookie dough to form the crust. I hope you’ll find it as tasty as I did! 1. Line 2 greased 9-inch round pans with slices of refrigerated slice-and-bake sugar cookie dough. 2. Blend the cream cheese and sugar. 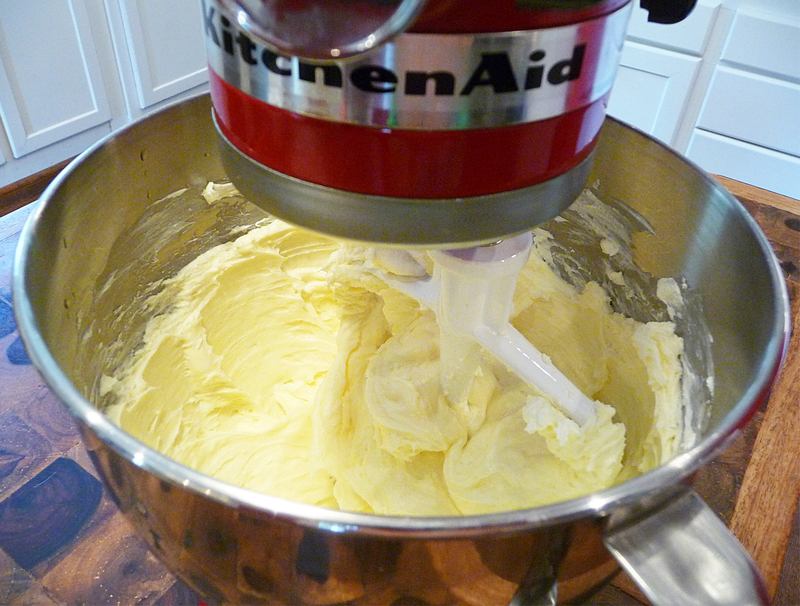 Add the eggs, butter, vanilla and blend thoroughly. 3. Pour into the lined pans. 4. Bake 25 minutes in oven. Remove and let it set/cool. 5. Garnish with fresh strawberries or other berries. 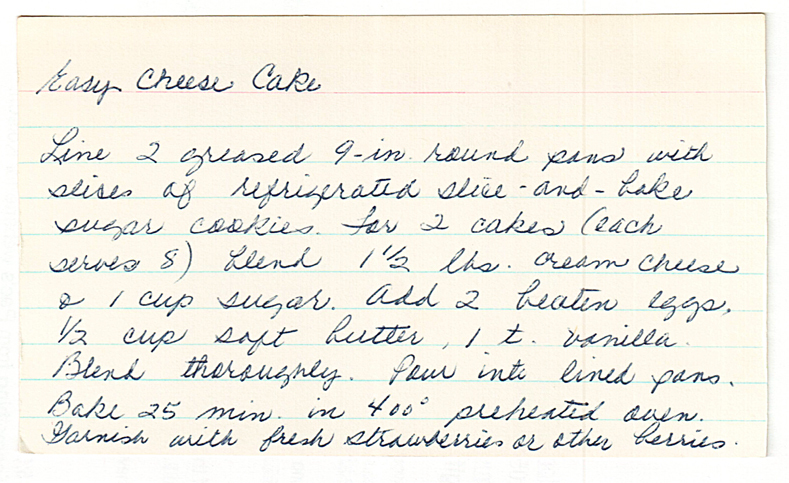 ♥ Each cake serves 8 folks. You can half this recipe, if desired. Or better yet, why not share one with a friend? 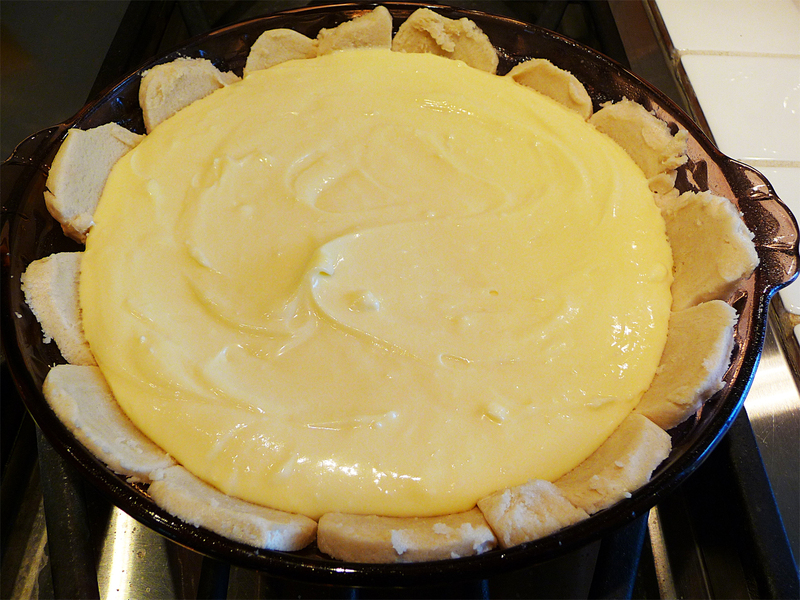 ♥ When lining the pan with the cookie dough, fill-in holes/gaps with extra pieces of the dough. Hand cut the dough, if needed. Cut slices to no more than 1/4″ thick (see pic above). ♥ You can serve this at room temperature, but I prefer chilled.